2015 Crestliner CR 1648M This boat model may or may not be in-stock. Please contact your local, authorized dealer for more information. Meet the hunting and fishing boat that's built to take it all. 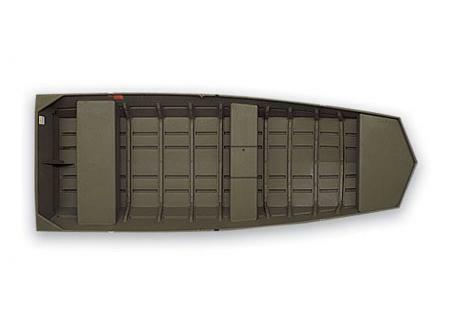 The Crestliner CR Jon Boat is a great hunting boat that loves duck blinds and marshes. Built to endure, these riveted jon boats can take the bed of a pickup as well as the bumps you cross in the shallows. Models range from ten to eighteen feet. Whether you're going out in the 1032 that's built for two, or taking out five buddies in the 1852MT, the CR Jon performs to perfection.